Prosecutors believe a conservative author tipped off Trump confidant Roger Stone months before WikiLeaks released thousands of emails stolen from Hillary Clinton’s campaign. That’s according to a document drafted as part of a plea offer to Jerome Corsi. The document was published Tuesday by the Washington Post. The document says Stone asked Corsi to get in touch with WikiLeaks so he could learn about information that could be relevant to Trump’s campaign. Corsi said he’s rejected the offer to plead guilty to a false statements charge. He says he didn’t knowingly mislead investigators. The report in London’s Guardian newspaper comes the day after the breakdown of Manafort’s plea deal with special counsel Robert Mueller, after prosecutors accused Manafort of repeatedly lying to them. Besides denying he’d ever met Assange, Manafort, who is currently in jail, says he told Mueller’s prosecutors the truth in weeks of questioning. He also says the Guardian published the story after being told by Manafort’s representatives that it was false. The British newspaper reported that Manafort met with Assange “around March 2016,” the same month he joined the Trump campaign. The newspaper also said that Manafort had met with Assange previously in 2013 and 2015. The report didn’t identify the sources for its reporting. White House press secretary Sarah Huckabee Sanders says she’s unaware of any conversations about a potential pardon for former Trump campaign chairman Paul Manafort. Prosecutors with special counsel Robert Mueller’s office accused Manafort on Monday of lying to them and said he had violated a plea agreement struck in September. Trump attorney Rudy Giuliani (joo-lee-AH’-nee) had previously suggested Manafort and others could be eligible for pardons at the end of Mueller’s Russia investigation. 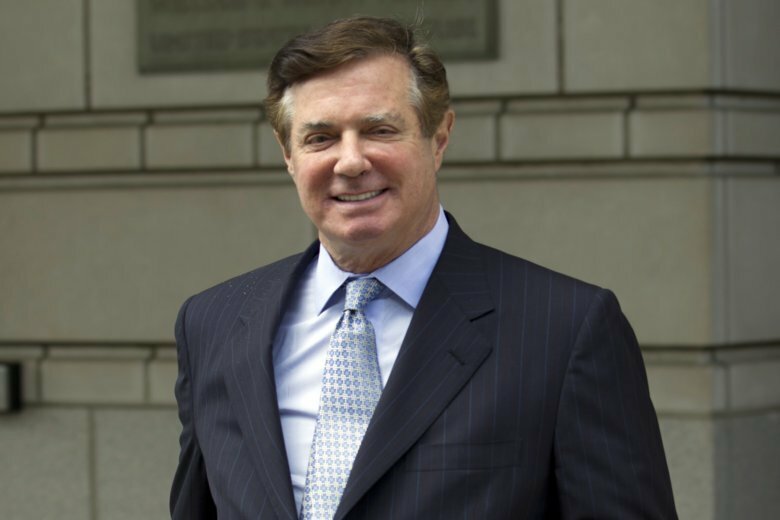 The allegation Manafort had lied to prosecutors in the last two months has fueled speculation he might be angling for a pardon. Manafort’s lawyers have denied that he misled investigators. The campaign seized on the emails to undermine Trump’s rival, Hillary Clinton. The Guardian, which did not identify the sources for its reporting, said that Manafort met with Assange “around March 2016” — the same month that Russian hackers began their all-out blitz to steal emails from the Clinton campaign. Manafort’s lawyers did not immediately return messages from The Associated Press.